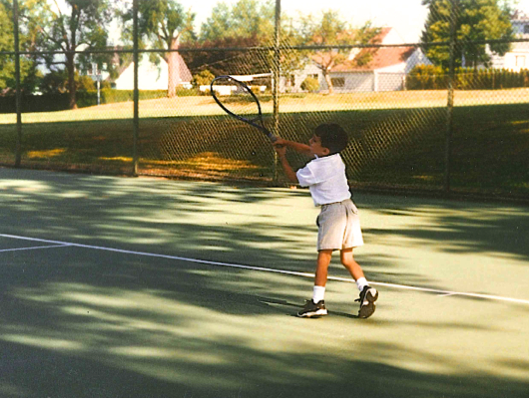 At two years of age Alex began playing tennis with his father at Berkeley Park in Southeast Portland. He continued to practice at Berkeley developing his skill and talents as he went forward to play in local, regional, and national tournaments and on to collegiate play. In 2008, his junior ranking by the United States Tennis Association (USTA) was 24th in the nation. 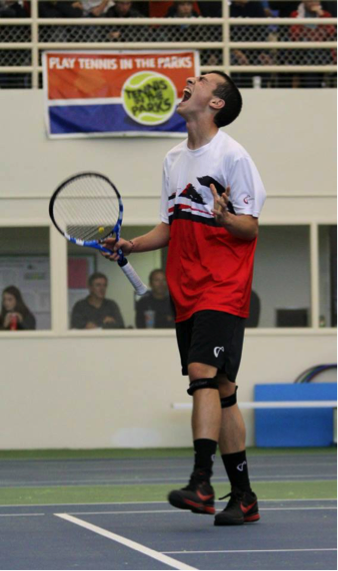 He represented the Pacific Northwest on five USTA National teams and competed as a member of the Northwest Pacific Cup Team a record of five times, including being team captain twice and winning the Pacific Cup twice. 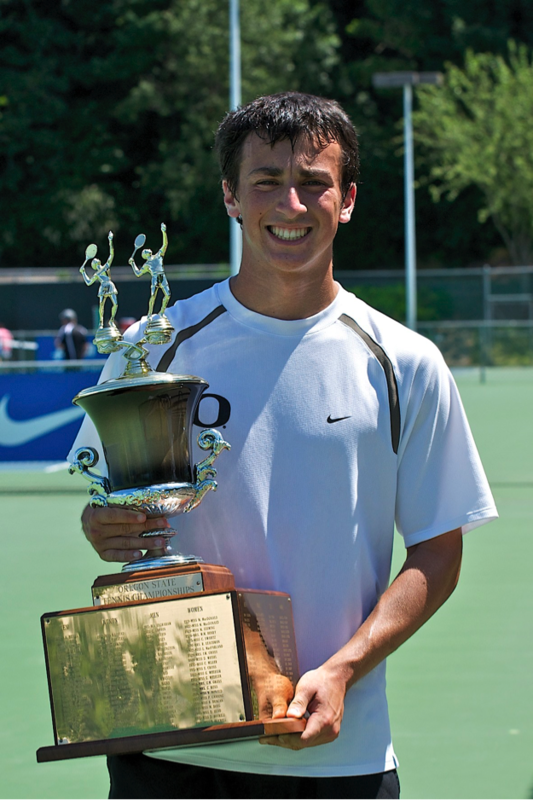 He finished his junior PNW – USTA career with a 65-match winning streak from 2008 to 2009 and was ranked number one in the Pacific Northwest USTA boys’ 18s division, both in 2008 and 2009. 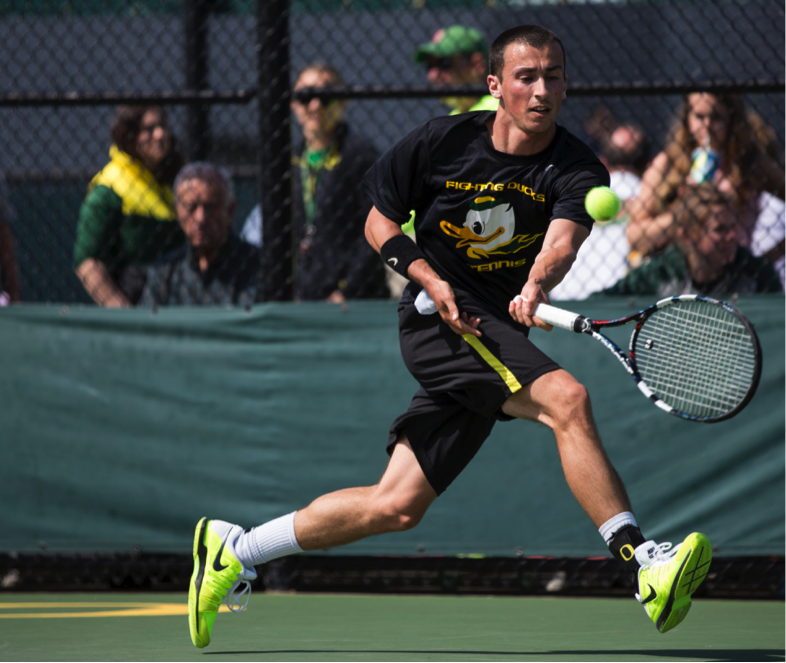 As an individual, Alex was sectionally and nationally ranked throughout his junior career. 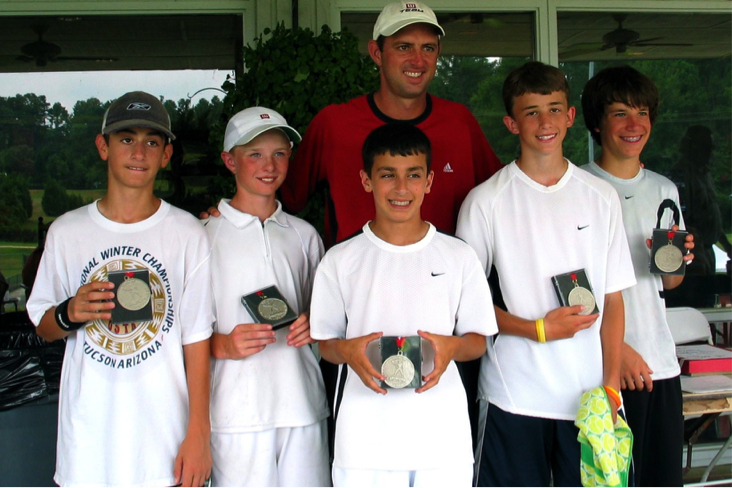 Alex was one in a small group of tennis players who played 4 consecutive years at the Boys Hard Court National Championships in Kalamazoo, MI. He received the USTA – Pacific Northwest Scott Eden Sportsmanship Award as the top male sportsman in 2009. 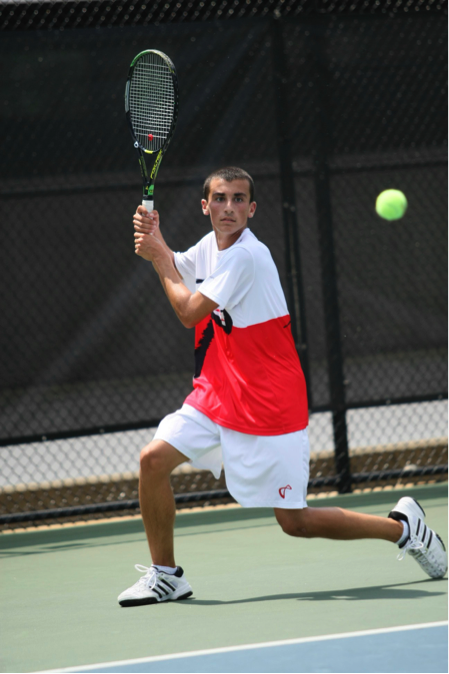 Alex graduated from Cleveland High School in 2010, where he became one of the first men’s tennis players in the state to win four singles state titles. 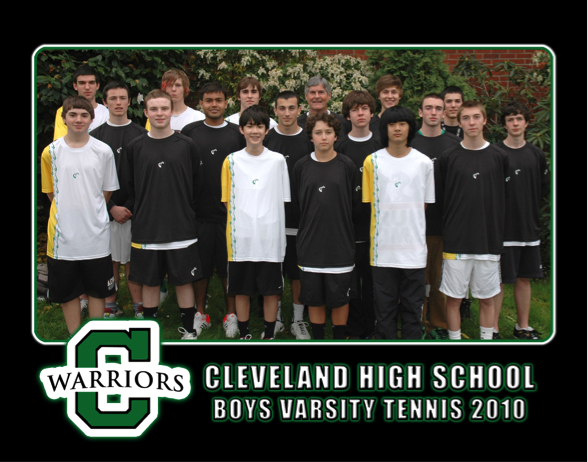 In his senior year, he was a member of the 2010 5A State Championship Men’s Tennis Team; the first state team title in the history of Cleveland High School. 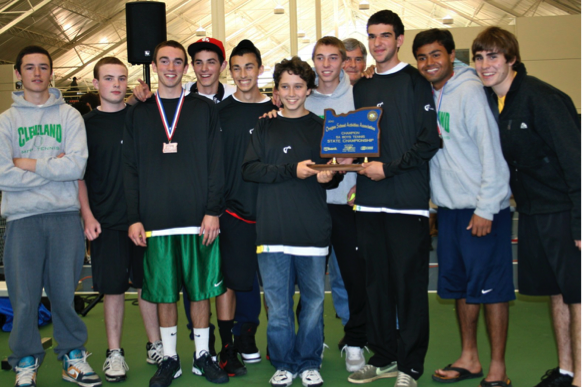 He was Portland Interscholastic League (PIL)’s singles champion four times as well. 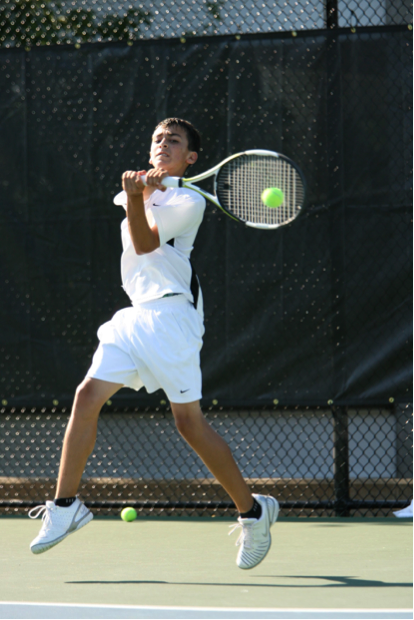 From 2006 to 2010, his entire high school tennis career, he had a perfect 50-0 singles set—he never lost a set. He was the first person in Oregon history to achieve this perfect record, and he was the first Oregon male to win four state titles; both accomplishments were featured in the June 2010 Sports Illustrated section, Faces in the Crowd. 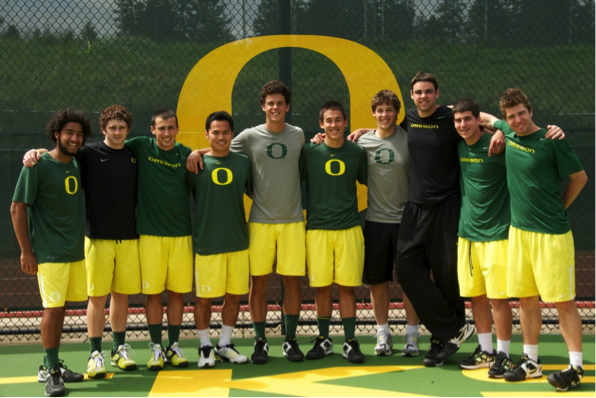 From 2010 to 2013 Alex was a member of the University of Oregon Men’s Tennis Program. During that time he compiled a singles record of 60 wins, including 22 wins record as the number one singles competitor. In doubles during the same time Alex achieved 53 wins. 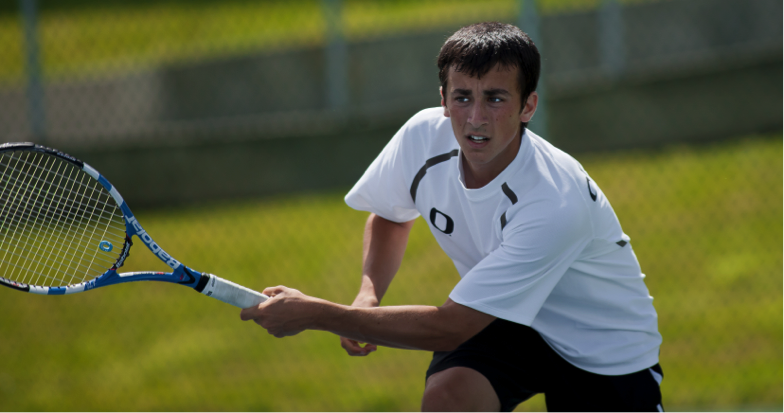 He was voted the Rookie Player of the Year in 2010 by the Northwest Region Tennis Association and was a finalist for the Johnny Carpenter Prep Athlete of the Year at the Oregon Awards. 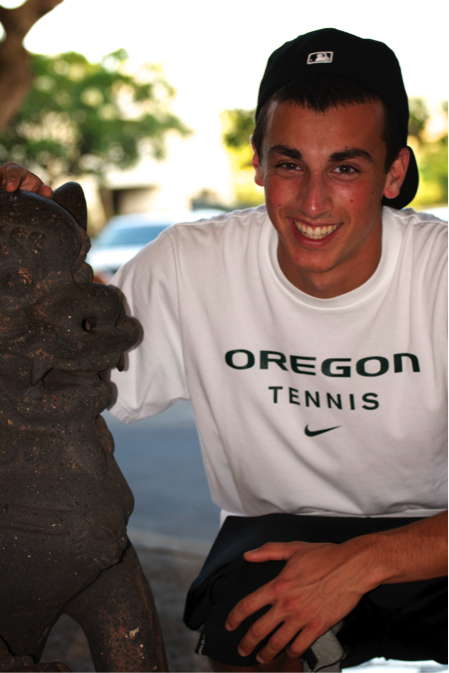 Though well-know for his tennis talents, Alex was well loved by young and old alike for his kindness, his respectful attitude and his love of life. He was a leader and role model, a loyal and dedicated teammate and a friend to all who knew him. Alex Rovello courts are like day and night when compared to City of Portland parks courts which are dilapidated, horrendously cracked, lacking basic surfacing and painting, with just plain asphalt now instead of any surfacing, broken non-working lights and light sensors, in need of serious repair courts. When we complain about the sad condition or just plain usability issues to ParkScanPdx, they ignore us. Alex Rovello’s courts should be example of how to maintain the courts. Thank you Peter for your heartfelt comments about Alex’s Courts. The community has been most generous in supporting our foundation as we renovated and continue to care for the courts. Following renovation our foundation signed a ten year maintenance agreement with the Parks & Rec Dept to care for the courts. With the support of over 1,500 people, whose generosity and interest in this memorial have provided the funds for the maintenance. We hope you enjoy many tennis matches at the courts and spread the word as to what we the people can do, truly a grass roots effort! Cristin and I remember meeting Alex on the outdoor courts at Eastmoreland Racquet Club. We were at the club often and remember seeing Alex for the first time with his dad. They walked down to the far court and began hitting balls. After practice, we both thought, ‘who is this little kid?’ He was barely taller than his tennis racquet, but he could hit the ball quite well. We kept seeing Alex at the club, and then one day our tennis coach, Derin, asked if we would hit with him. We thought, ‘why not?’ This was one of the best decisions we ever made. Alex walked onto the court, but this time it was where we both stood alongside Derin. Alex was so precious, he walked over to us and said hello in a timid, sweet little voice. We smiled and said hello. Derin asked Al to go to the other side of the court. As he did, Derin turned to us and said, “watch this.” He drilled balls at Alex, not only did Alex have no problem hitting them back, he was able to hit clean winners. He was seven. Right then, we knew we were in the presence of something special. Alex’s intensity and focus was beautiful to watch, he savored every moment on the court and was always determined to get better. We feel so blessed that we were able to be a part of his life during this time. We will never understand why this happened and our hearts will be forever broken. We feel fortunate to have known Alex at such a young age and were able to watch him grow up. He was an incredible man who was loved by everyone he came in contact with. We were able to spend so many hours on the court with him and we loved every minute of it, even when he started beating us. We also treasure the time we spent with him off the court. We shared many dinners with him and his family, many games of bump played in his driveway, many ping pong tournaments were contested, many hours were spent in the TV room talking and many hours were spent playing Super Mario Cart. So many wonderful memories were made during that time and when we recall them today, we can’t help but smile. We consider him our brother and will always love him as one. We love you Al and think of you everyday. First, in all my years of watching Alex play tennis, I only saw him lose once. It was in 2008, a week after he had won his second State Championship. He was playing in the Adidas Cup at the Irvington courts in Northeast Portland, and he had advanced to the Quarterfinals of the tournament. This wasn’t a high school tournament mind you: Alex was up against fully-grown men, some of whom were making real pushes to play in big national tournaments. I can’t remember the name of the guy he played, but I remember he was big, probably around 6’4″ or 6’5″ and had a monster serve. And here was Alex, maybe no taller than 5’7″ at the time, and he was sticking it to him. Everyone one of his big serves was returned, and this mammoth just could not keep up with Alex’s pace. To this day, it is still one of the most entertaining tennis matches I have seen EVER. Alex ended up losing 6-3, 7-5, having his serve broken once in each set, but sitting in the bleachers, you could tell this guy was relieved. After the match, Alex came up to me, and we spoke about how he felt about his performance. I remember him saying to me, “Yeah, that was a tough one. But I felt I played pretty well, and I learned a lot about myself, and where I can improve my game. He was a good opponent, and I had fun playing him.” And the whole time while we spoke, he was smiling that big, famous, Alex grin. That is what I love most about Alex: in the match, he is the most intense person you will ever come across. But after the match, you wouldn’t be able to tell from looking at him whether he had won or lost. He is never too high on his wins (well, except for maybe after Cleveland won the team title in 2010), and he is never too low on his losses. The second story I keep reminiscing upon, was in 2008. I had just started my freshman year at Willamette University, and was playing for the men’s soccer team. Mind you, I use “playing” loosely, because I was really more of a bench warmer. Nonetheless, I enjoyed being apart of the team, and my family was very good about coming down and supporting me, even though I was not playing. But the first match of the season, I had a special surprise guest in the stands. Yep, Alex had made the drive with my parents and brother down to Salem to watch me play, even though I was taking on more of a cheerleader role. I remember seeing him after the game, and he gave me a big smile and hug, and after I thanked him for coming he said, “Yeah of course B! You looked real good out there!” I had to laugh at that, everybody did, including my mom. But no matter what successes he had, his friends’ accomplishments were always more important, even if they were relatively small like being a part of a D-III Men’s soccer team. No matter what, he always wants to be prominent in every one of his friends’ lives. And I am forever grateful that he is. I love you Alex. We are going to get these courts renovated and refurbished, and we are going to slap your name all over the courts so that your legacy will live on for all the future SEP tennis stars who will play there (even though you wouldn’t want us to). I had an Oceanography class with Alex in High School, and he came to class one day wearing his newest CHS tennis team sweatshirt. I complimented it, and without hesitation he told me that I could have it, but that I’d have to wait until tennis season was over. True to his word, the day after his season ended (and he’d won the state title, of course), he came to class and handed me that sweatshirt. Even though he was the star of the team—of the school, really—the title was never just his. He made us proud, and it was never a question that the glory was to be shared. He represented us and we represented him. Alex was a legend at Eastmoreland Racket Club. He made the members proud, was always friendly, and also very modest. We had another Alex in the club, so we always referred to him as “Little Alex”. Derin Hibbs coached him at ERC and many of us helped Hibbs out with the junior program. A handful of the 4.5 and 5.0 guys would also play matches vs. Alex. In his high school days we basically were his sparring partners and punching bags. Few local juniors could challenge him and few adults as he got older. I remember when he was only 14 and a Freshman in high school, he won one of his first adult Open tournament championships beating Derek Rasheed. Many of the members recall watching this match on court 1, “the show court”. Personally, I remember first hitting with Alex when he was as young as 9 or 10 years old. I recall my last set win over him was when he was 11 out on the clay courts. By the time he was 12, I was getting bagels put on me. He must of been bored since he was always texting away on changeovers. But, he always had great sportsmanship and appreciated the adults hitting with him. Sometimes during Junior Academy when I played rally games with him or sets, I would trash talk and try to get in his head. I was testing his mental game and tried to get under his skin. It never phased him though and he would never say much back Little Alex instead just retaliated with more winners or long 20+ groundstroke rallies. Alex was a grinder on the baseline. I would yell, “IS THAT ALL YOU GOT ALEX! IS THAT ALL YOU GOT!” Well, he did have more. I wrote Alex on the back of my shoes in his memory. Sometimes when I’m being lazy and lack motivation or I’m not fighting hard enough in a match, I just look down at my shoes and reflect on Alex for a moment. I remember his work ethic and his style of grinding points. I use that to improve my own tennis game. Many of us have great memories of Alex. Rest in peace Rovello. You never will be forgotten as you have left an imprint on many of your friends, family, and tennis community. HEAT! I’m asked to share a memorable story of my friend, Alex. A story that truly sticks in my mind and has a significant meaning over the rest. The only problem is that I am unable to recollect a single moment in our brief, yet incredible history together. Every day with him was truly unique and amazing; a never-ending time of excitement and goodwill, the likes of which I have never experienced since. Unique. That is truly that only word I can use to describe my lost friend, not because it fits him perfectly but rather because it is not possible to describe Alex with anything other than “Alex Rovello.” His intangible essence was what made him great, not his amazing athleticism or his vibrant smiling face, but rather his greatness is that he was Alex Rovello. I wish that I would have been more aware of it in his presence as opposed to simply assuming it to be a daily, infinite occurrence. It is only in his absence that I realize just how significant a person he was and how much he influenced my life. That is what I remember most about Alex, not a single event but rather the entire plethora of moments that defined our relationship and allowed me to understand him. I’ve never met a better competitor, and I’ve never met a better person than Alex Rovello. Not a day goes by that I don’t miss him which I truly believe in my heart of hearts to be the true testament to just how amazing he was and continues to be. Alex loved to talk a big game, and the most frustrating thing was he could back it up. Well, frustrating is the wrong word, because he was just so damn lovable that you could only laugh as he slaughtered you in ping pong, horse, bowling, or Madden (not to mention tennis). And on those few, rare occasions when the clouds parted and I bested him in a game or two of ping pong, after a short exclamation and maybe some joking theatrics, the genuine smile that loved competition would emerge and he would ask for a rematch. When I think of Alex I think of a fun loving, outgoing, extremely goofy and caring brother friend. That is what he was to me, he was a friend but quite honestly, he made me feel like part of his family. He was in my life since my first day of middle school and we had been in at least one class together every year. However when we ventured to U of O, we weren’t so lucky. I didn’t see him nearly as much as I wanted to but I knew he was doing big things at the U of O! GOOOOO DUUUCKS! Even though I did not see him all that often, I knew that I could always look forward to our frozen yogurt/ice cream dates. We would talk about the stresses in our lives but all I can really remember is laughing so hard our stomachs would hurt. My favorite memory was during the summer after freshman year at U of O we walked to Nectar in Sellwood. He said one of his goofy jokes and it was so funny that I laughed so hard I fell out of my chair. Of course people stared and Alex never let me live that one down, but it was just me and him at that moment. I will never forget that smile and of course that endearing, loud laugh! I love you Alex! 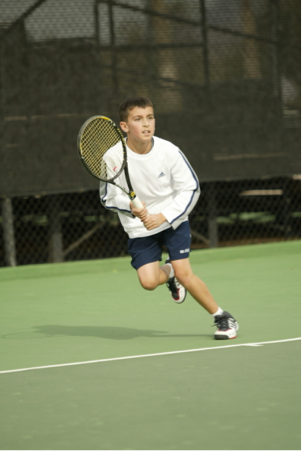 Donations support the care and preservation of the Alex Rovello Memorial Courts at Berkeley Park and to promote, develop and enhance the lifetime sport of tennis.